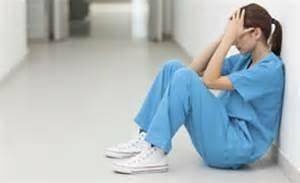 Nurses must remain alert and vigilant to instances of incompetence, unethical/illegal practices, and/or actions that are harmful to the nurse’s best interest.1 Nurses must champion the rights of all nurses, and position themselves to stand together with their peers to change the status quo. Nurses bring a different perspective to the board rooms of healthcare organizations. Inter-professional and collaborative relationships must be fostered at all levels of an organization with emphasis on executive management and medical staff relationships. As leaders, it is time for nurses to demand and expect a re-structuring of the practice environment to ensure that professional identity of nurses is recognized and the development of nurses’ professional power.2 When the integrity of a nurse is compromised, the integrity of the healthcare delivery system as a whole is also compromised, as does the safety of the public; the patients we pledged to serve and protect. Bernal, EW. The nurse as patient advocate. Hastings Center Report. Jul-Aug 1992;22(4):18.